Search Engine Optimization (SEO) is the process of enhancing the visibility of a brand’s web presence in organic search. SEO is receiving free, organic and natural results on a search engine page by delivering content that matches what consumers are querying. SEO in the digital marketing mix is here to stay. For these reasons, many companies hire a firm or consultant to do SEO for their website. But do businesses see results from SEO? And why? Here’s are examples of success. 10 SEO case studies with proof positive ROI. CANTON ALUMINUM: Wanted to increase online leads. They decided it was time to pursue responsive website design with integrated contact forms and prominent lead-generating callouts. The site was optimized with new engaging content and unique phone tracking to report on phone-generated revenue. Results were: 1) 21% increase organic traffic growth, 2) 53% of visitors are from organic search and 74% increase in Facebook audience growth. DELL: Was unsatisfied with its global search positioning. For example, if searching for Dell in Australia, it was possible that the first listing on the results page would be for Canada, France, or another country. Dell implemented aggressive strategies across multiple countries which reorganized Dell’s search presence and increased its organic search rankings, traffic and revenue worldwide. Dell saw: 1) 46% increase in organic traffic, 2) 177% increase in number of ranked keywords and 3) 1,000% increase in return on investment. HARVARD UNIVERSITY: It is hard to imagine that Harvard University had an opportunity to increase awareness. Harvard’s Division of Continuing Education expanded the digital reach of two established schools, Harvard Summer School and Harvard Extension School, and to build awareness for their growing professional development offering. The 12-month project used an audit to identify technical setbacks, content positioning to create new landing pages for search traffic, and top-of-funnel awareness campaigns with AdWords. Harvard saw: 1) 89% increase in visits from organic search, 2) 75% increase in registrations from organic search, 3) 30% increase in CTR with AdWords and 124% increase in retun on ad spend (ROAS) with AdWords. KAUAI VACATION RENTALS: Offers condos, cottage and villas in Kauai, Hawaii, nature’s answer for a perfect getaway. But the website’s rankings (all keywords) were stuck behind 4th page. They changed duplicate content. There were a lot of reciprocated links that did not relate to the industry. Some of them were low quality. Then, they started building links through advanced techniques like article submission, press release submission, directory submission, blog posts links and more. Overnight, the visits to my website increased 50%. It took consistent efforts for about a year to push the website from page 4 to page 1 on Google. NIKE GOLF: Is the golf-specific retail branch of Nike. They lacked a focused keyword strategy and a site built in a way that was very difficult for search engines to crawl for content. The lack of a focused keyword strategy so SEO elements that could have potentially aided the site (page titles, meta descriptions, internal links from blog posts) were far from effective. Keyword research helped make decisions like whether we should target “golf apparel”, “golf clothing”, “golf clothes”, or “golf sportswear.” And that visitors who landed on the Nike Golf site through “golf apparel” searches stayed longer, dug deeper, and were more likely to convert. High opportunity keywords were worked into specific pages. Nike Golf saw a 169% in total increase in organic search traffic and 250% increase in non-branded keywords. PLOW AND HEARTH: A retailer based in Madison, Virginia specializing in hearth and replace accessories, furniture and home furnishings, and lawn and garden accessories, wanted to make a push for their “fairy gardens” products. The goal was to increase SEO performance and ultimately revenue for these products and bolster the overall performance of Plow & Hearth. They focused on choosing strategic keywords to target for the fairy gardens pages. Then began to implement on-page changes for the pages. This led to a 550% increase in keywords on page 1, a 729% increase in traffic, and an 1157% increase in revenue on a single keyword topic out of the tens of thousands of products they carry. SOUTHLAND LOG HOMES: Has specialized in custom log home plans and cabin kits for more than 30 years. The company specializes in creating reliable, affordable and beautiful log homes that last a lifetime. They needed to improve the company’s rankings in the major search engines. The company didn’t have strong rankings for any competitive keywords and wanted its website to show up on the first page of the Google search results. Southland developed a marketing campaign that included identifying competitive keywords and aggressively pursuing improved rankings through link building and content optimization. Southland Log Homes currently ranks No. 1 in Google for the keyword phrase “log homes” and saw a 66% increase in Page 1 rankings and 85% increase in website traffic. SPANGLER CANDY: makers of Dum Dums, Circus Peanuts, candy canes, and other tasty treats since 1904, wanted to expand the marketing strategy for its e-commerce websites. A carefully planned strategy to build on content creation adding and optimizing fresh content in expanded product descriptions, developing videos, creating printable PDF games and greater social media involvement on Facebook, Twitter and Pinterest. From these improvement, SpanglerCandy.com saw: 1) 40% increase in organic visits, 2) 10% increase in online sales and 3) 30% increase in mobile sales. THE CONTAINER STORE: Did not have a methodical approach to content marketing and capturing organic traffic. They created page groups, populateD with logical keywords, on-page recommendations, and identified the best pages to map the keyword topics. They also used backlink technology to map backlinks and target new sources of links. In 7 months, the results were dramatic: 30% increase in keywords in 1st rank position (more than 1000 keywords), 93% increase in organic traffic, 68% increase in organic traffic conversion and 96% increase in organic traffic revenue. TIME INC.: Has 95 iconic media brands that serve 81 million online visitors every month who generate ad inventory they sell to advertisers. Time’s SEOs face duplicate content, lack of thematic grouping by keyword, non-optimal internal links, and significant crawl and redirect errors. They resolved over 500 crawl errors; executed fundamental internal link and anchor text recommendations. Sitemaps were improved, rich snippets were added, and duplicate landing pages were removed. In the 4th of July season Time improved its page 1 Food & Wine 4th of July rankings from 2 to 7 keywords, which led to a 30% gain in organic traffic vs. 1 year earlier. Overall Food & Wine page 1 ranking keyword count improved from 620 to 757 and that led to a 34% increase in traffic and ad inventory. Travel and Leisure keywords ranking and traffic increased 45%. 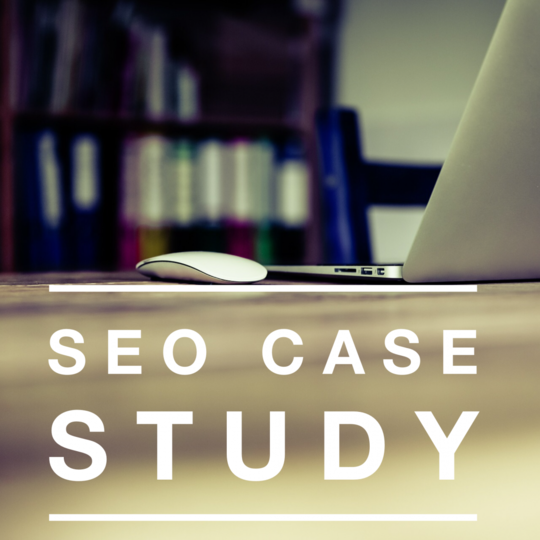 These case studies show the ways effective SEO improves search visibility, presence and sales. 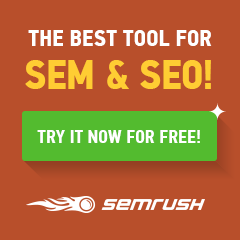 Do they prove the ROI of SEO to you? Does your business need an effective SEO strategy, plan and implementation?